Today's phones are getting smarter and smarter. Their makers are putting more and more features that help users of these phone more productive in their daily tasks. But what makes a phone "smarter" than others? For one, it must be able to do multitasking and allow switching from one application to another. It must also have a high resolution camera and a full high definition video. Since I always go online, it must allow me to go online fast when I needed to. Enter Optimus 2x, the latest smartphone offering from LG. It is the world's first dual core smartphone running on the powerful NVIDIA Tegra mobile processor. This will help me a lot because this means it could do multitasking without going sluggish. Thanks to the two processors in this phone, applications will also launch faster than in average phones. Browsing the Internet will be a lot faster and means more sites visited than waiting for them to load. I can check my email, update my Facebook site and then watch a video on YouTube. And while doing all of these, I can still receive phone calls! Now that is really smart. 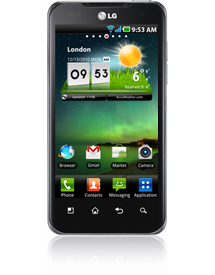 Optimus 2x runs on Froyo Android 2.2 which brings a lot of additional conveniences, including over-the-air updating of apps and even music syncing. It also supports Flash 10.1, which makes for a more complete Internet browsing experience. Another feature that makes me excited about this new smartphone is the 8-megapixel camera. I love taking pictures but I cannot bring my DSLR all the time. With this baby, I can even take pictures in low light situations, thanks to its LED flash. It also has a full HD video camera, which records and plays back at full 1080 resolution. With this, I will be able to record my memories with better clarity including the sound because the Optimus 2x also supports HD sound. I can relieve my memories and watch it on my HDTV since HDMI connectivity is likewise supported. I could go on and on with the many features of the Optimus 2x. Indeed, Optimus is more than just smart. It's genius! Visit lgoptimus.ph for more information. Nice. So you're in the market for a new camera!